In this tight economy everyone is looking to save a buck. ATV enthusiasts are no different. With most bikes exceeding $5000 new out the door, it’s no wonder the used ATV market is booming. Buying a used ATV is a great way to save but it’s also a way to get burned. I have assembled some tips on buying a used ATV. You can find used ATV’s almost everywhere here in Utah. All dealerships have a used bike inventory. You will usually pay more for a used bike at a dealership but you also have more recourse if you have a problem with a used bike. Used car dealerships often have ATV’s. I personally love KSL Classifieds online because is an excellent source to view a lot of inventory from the comfort of your desk. I used KSL to purchase my last two ATV’s. 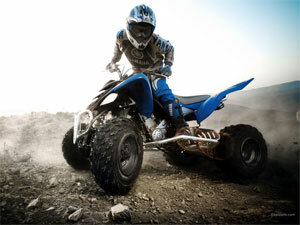 Things to check before buying an ATV. 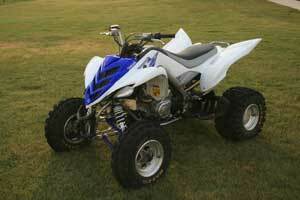 Current Local Pricing Prices vary based on year, model and make of the ATV. I watched the used market for months to know the typical price on the ATV I wanted. This helped me recognize a good deal vs a bad deal. Make sure the bike is legit. If the serial number has been removed or is unreadable the bike is probably stolen. STAY AWAY. If the serial number is there call your local police department and have them run the VIN/Serial Number and make sure it’s not stolen. If the bike is stolen you could be held responsible and or your bike may be returned to its owner without any recourse for getting your money back. A bike without the proper documents is not licensable and will make it illegal to run on public lands. Check the motor. I check for any leaks or signs of leaks. I check the oil. I want to know if it’s full, what color it is and how dirty it is. These are all indicators of potential problems like owner obuse. I also listen to the motor while it’s running to see if I hear anything unusual. Loose or damage parts. I check the frame for rust and or cracks. Most ATV parts are coated with a paint or sealant. If you see rust it’s a sign that it may be damaged. Many frames today are made of aluminum which doesn’t rust, so finding cracks in a frame will require a close visual inspection. Aluminum is a light, silvery color, and a crack will show up as either dark silver or black lines at the base of the weld. A cracked frame is almost always a walk away deal killer.I check for loose parts or damage. I also check for new parts. If a part looks new I ask about it. I want to know if the ATV has been damaged and if it was repaired properly. When I bought my Raptor it was an extremely clean bike but two things stood out to me. The plastic wasn’t original and the throttle box on the bars had been welded. It was obvious that it had been rolled. I asked and sure enough it had. However it had been repaired properly and thus I was able to get another $500 off the asking price. Check the airbox. I like to know if the filter is clean or dirty and if the airbox itself is clean or dirty. If they are both dirty and the bike is clean it may be an indication that the bike wasn’t maintained well. A lot of problems can’t be hidden if you drive the bike. I go over another series of questions while riding it. Does it shift smoothly? Does it run well? Does it rattle? Does it drive straight? If any of these are no then I know that the bike is going to require repairs and the price just went down or I am walking away. There are many good deals on the used market. Being educated to the fullest about the machine you are looking for is key. I will use the internet to research the ATV before going to look at the bike. I research problems and other related items so that am I informed when I speak to the seller. Doing your homework before and during the purchase will make sure that you make the smart purchase.